A young member of the Sikh Gurdwara of Oklahoma recently led a school supply and hygiene drive to benefit a school for homeless youths. Anjali Singh, 15, said she got the idea for collecting supplies from a faith camp held at her house of worship earlier in the summer. The Edmond Santa Fe High School sophomore said she and other Sikh youths learned about different facets of their faith, including the importance of sharing. As one of the older youths, she enjoyed coordinating the drive and getting the positive feedback from the younger children. ....Sabi Singh, another leader at the gurdwara, said the youths' adherence to the Sikh concept of sharing also was important. He said he was pleased to see Anjali take action based on the camp lessons. "This is how it manifests itself. Whatever she has learned, she is going to carry it on," he said. Meanwhile, Anjali's father, Harjinder Singh, serves as the Sikh Gurdwara of Oklahoma's president. He, too, expressed pride in the efforts made by his daughter and other young people to help the less fortunate in the community. "I think it's good that this is the result of our camp," he said. 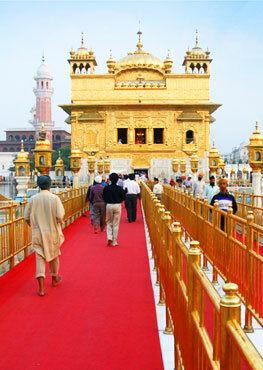 "The bottom line is that's what Sikhism is all about. That's what we do."